Author: Leen & Kathleen Ritmeyer, paper back, 72 large format pages profusely illustrated with colour photos, maps and drawings. 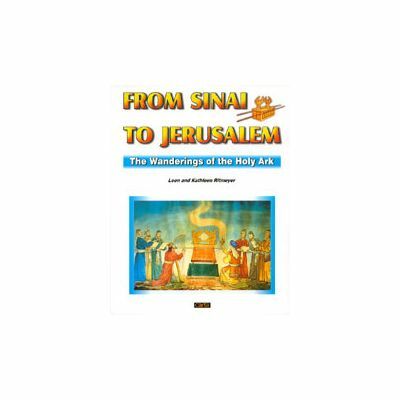 Published by Carta, Jerusalem in 2000. 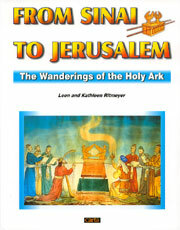 The wonderful story of the Wanderings of the Ark has fascinated Bible readers for generations. It is one of the most exciting events recorded by man and vividly described in the Bible. The authors offer a wide-ranging and possible scenario of the Ark's journeys through original photographs, interpretive drawings based on Scripture, and reconstruction drawings based on archaeological evidence together with contemporary finds. A rich source of reference, this handy volume provides a fount of knowledge accumulated over time for the enjoyment of the reader. Scholars, teachers and students may use it as a stepping stone for further reading and research.